Hiring a magician is not something that we do every day and it could be challenging for people who had never hired a magician before to know how much it cost and what to expect. As a professional entertainer, I (Trace of Magic) would like to make this process easier for you and serve you to the best of my ability by giving you an informative big picture on what our industry is like and what to expect. The information below is based on my experience in the industry, first-hand client feedbacks and my own pricing research. We hope the information would give you a better understanding of how to find the right magician for your event and how much you should budget for and avoid and unpleasant experiences. 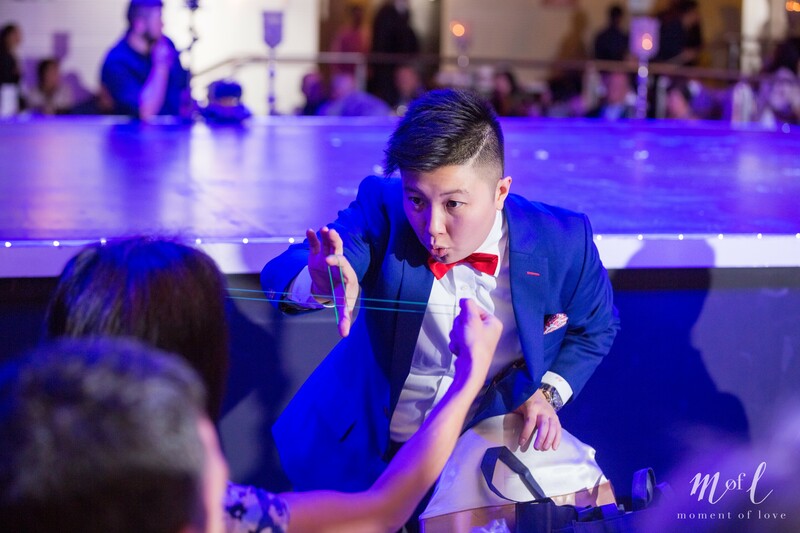 After all, you’re looking for a magician to leave fun and memorable experience your event! Please be aware that below prices are based on my own research and by no means that all magicians will charge in accordance with the information below. Below is guideline from my experience to help you understand our industry better to make an informed decision. This category are magicians that may not have much experience and wants to gain exposure and/or practice their craft. They are typically entry-level magicians, hobbyist or does it on a part-time basis for some pocket money. These magicians are not horrible, they could be either lacking social skills, real life experience or just not in demand to charge higher prices. These magicians are good for a lower budget small event. Although this category of magicians could meet your budget, below are some Pros and Cons to give you an idea of what value and risks are involved when hiring an amateur or hobbyist. Most of the time these magicians are fine however there have been some cases where this has happened to my personal clients or others that I speak to. So these are some risks and situations you need to be aware of if you do choose this category of magicians. This category pretty much guarantees that you are getting an industry standard magician with many years of real-life performing experience. These magicians usually are professionals that do magic as a career and therefore has much more experience in dealing with clients on a personable level. Not only have they mastered their craft (sleight of hand), but are also highly competent in their people skills and showmanship. They are more likely to understand and pinpoint the client’s needs for their event and deliver “magical experience” for their audience, rather than your standard “magic trick”. This is the price range that Trace of Magic charges, we find this price range is suited for the clients that value a point of difference at their event and is important to look for a quality entertainer that would impress and WOW their audience. Typically suited for Corporate Functions, Conferences, Gala Dinners, Weddings or Private Parties. 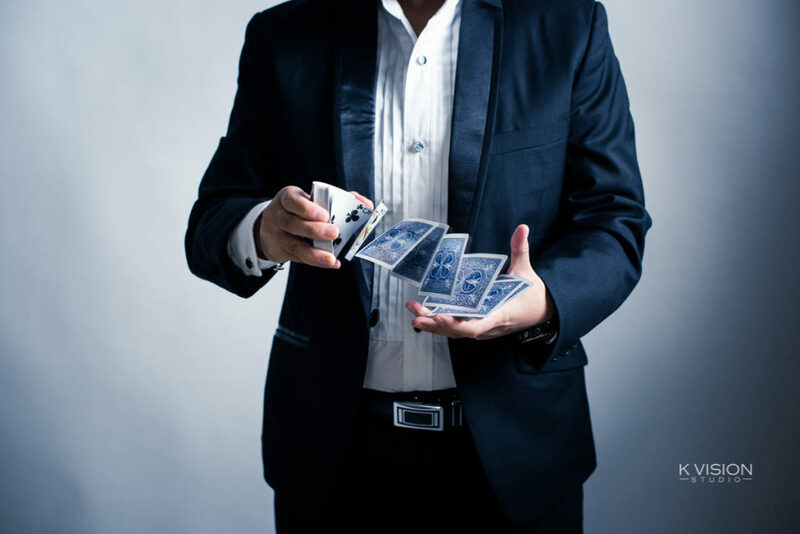 Celebrity Magicians are exclusive and are people who built a high profile based on TV Experience, Performing for A-List Celebrities, YouTube Sensations and many many years of high profile experience. Their fees are usually based on the level of demand and popularity and fame. In terms of value and quality service, I personally believe there is not much a difference between a Professional Magician and a Celebrity Magician. Either case, you will get guaranteed quality entertainment. Celebrity Magicians are usually in demand from Premium High-End budget Corporate Events who wants high profile celebrities at their event. Stage Magic is also known as Stand-Up Magic or Parlour Magic. Typically the magician performs on an elevated Stage or on a dance floor in front of a crowd depending on the size of the venue and audience. Many magicians have different acts and styles when it comes to Stage/Stand-Up magic. To be honest, to choose the right entertainer for you will be very much dependant on what kind of experience you want your guests to have at your event and what kind of personality and style you would like in your entertainer. Some may be a comedy based (like Trace of Magic), they could be more mysterious and cool (like Dynamo), casual, elegant, dark (like Criss Angel), humorous and charming (like David Copperfield). All Sydney Magicians that does Stage or Stand-Up magic will have different price points depending on their show and duration of the show. 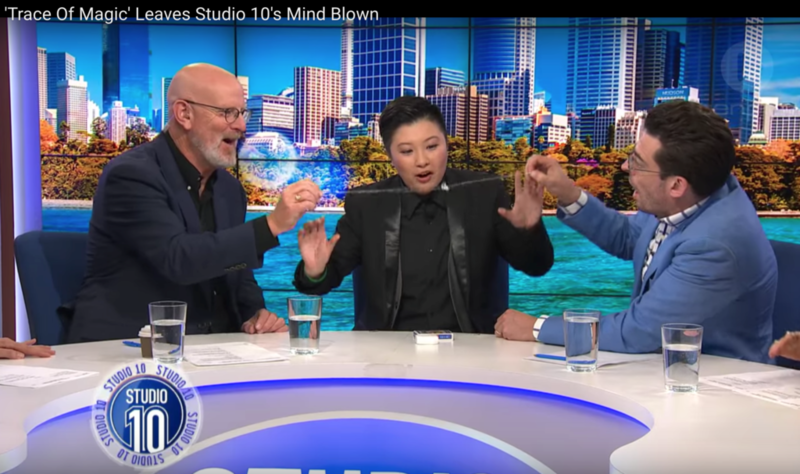 There is only a hand full of Professional Magicians in Sydney that does Stage Magic well. Magic is a rare art and Stage craft is requires years and years of practice to create and developed into a polished show. 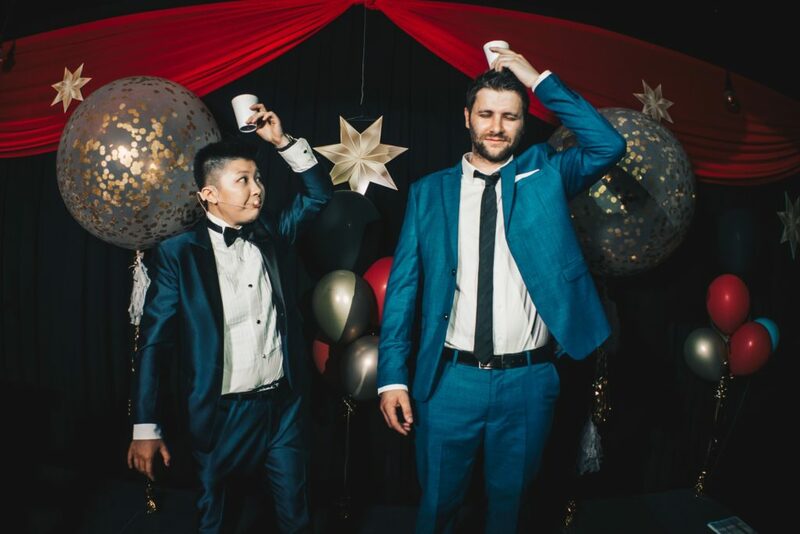 To give you a rough guideline on the range of what we charge as a Professional Magician for a 20-30mins Magic Show (which is the typical recommended duration) would typically start from $2,500 AUD and could get up to $10,000 AUD or more depending on the individual artist. Stage or Stand-Up Magic is perfect for Conferences, Gala Dinners, Client Thank You Dinners, Corporate Functions, Weddings and Milestone Private Parties or any special celebration. Much like other services magicians also vary their prices during high seasons (generally high season would be end of year – between Nov-Dec bookings for dates that are high in demand for Christmas Parties). This is not to say all magicians vary their prices however there are many that do; especially Professional Magicians. Some may charge 2X as much or 3X as much, depending on the date and demand. The much later you make a booking the more likely you will have to risk paying surge prices for high seasons. If bookings are made months in advance then it is likely that the varying in price won’t be as high. This of course will be dependant on the individual artist. Typically every year the artist fees will increase based on their profile and inflation. As great quality professional magicians are low in supply and high in demand our performance fees also increase regularly. Again this will be different for every individual and it would be challenging to give any guideline on the increase of fees. However, it is to take note for the customer that the artist fees will only increase as the artist increases their quality of work and profile. Warning Signs: If any professional artist has not increased their fees for a long period of time. It is a warning sign for the customer that they may be low in demand or something is not right. This also varies greatly between each magician in Sydney. As some magicians include travel fees within their fees and some will charge outside a certain radius within their region. Some may have 2 shows in the same area and decide not to charge travels fees. Or some maybe charge for fuel, toll, parking or opportunity for the lost time travelling. As there are too many factors to give you a guideline on travel fees. Please ensure you ask the artist/performer if travels fees are included or excluded in their quote. I hope this blog has been valuable to you and gives you more of an understanding on our industry, how we charge and what to expect. If in doubt, please do not hesitate to contact me (Trace of Magic) for further queries or for a COMPLIMENTARY 30mins Consultation Session. I’d be more than happy to serve you and help you find the right entertainer to suit your event.